This entry was posted in candle making supplies, Fragrance Oils, laundry detergent, laundry detergent recipe, Natures Garden, Natures Garden Fragrance Oils, Soap making supplies and tagged bath and body, bath and body products, Crafts, crafts for a rainy day, delicate laundry soap, free laundry soap recipe, free recipe, free recipe for homemade laundry soap, homemade laundry soap, homemade soap for delicate clothes, how do you use vanilla lavender type, how to make your clothes smell like lavender, how to make your clothes smell like vanilla, how to make your own laundry soap, how to make your own laundry soap for delicate clothes, laundry soap, lavender fragrances, lavender vanilla fragrance, lavender vanilla laundry soap, lavender vanilla scent, making laundry soap, natures garden, ng vanilla lavender type fragrance oil, recipe for homemade delicate laundry soap, scents that smell like lavender vanilla, smells like vanilla lavender, vanilla fragrances, vanilla lavender, vanilla lavender candles, vanilla lavender fragrance oil, vanilla lavender laundry detergent, vanilla lavender scent, vanilla lavender scents for lotion, vanilla lavender type fragrance oil, washing your delicates on December 30, 2014 by Deborah Ward. Hello everyone! I hope this finds you all having a wonderfully fantastic day! Any new projects or creations you’re working on? Maybe something you’ve never tried before but have been itching to do? Perhaps you’re thinking about trying a project like creating your own laundry soap? Just can’t find the perfect fragrance? Well, if you’re looking for the fragrance that is just right, we have it right here! Here at Nature’s Garden, we offer over 800+ different fragrance options, but our Vanilla Lavender Type scent is just perfect to use when creating laundry soap! What Does Vanilla Lavender Type Smell Like? Vanilla Lavender Type by Nature’s Garden is a memorable and unique scent that works perfectly to bring you the feeling of tranquility and ultimate relaxation. This combination is a well-rounded mix of patchouli, fresh vanilla beans, fresh lavender, and even citrus orange zests! 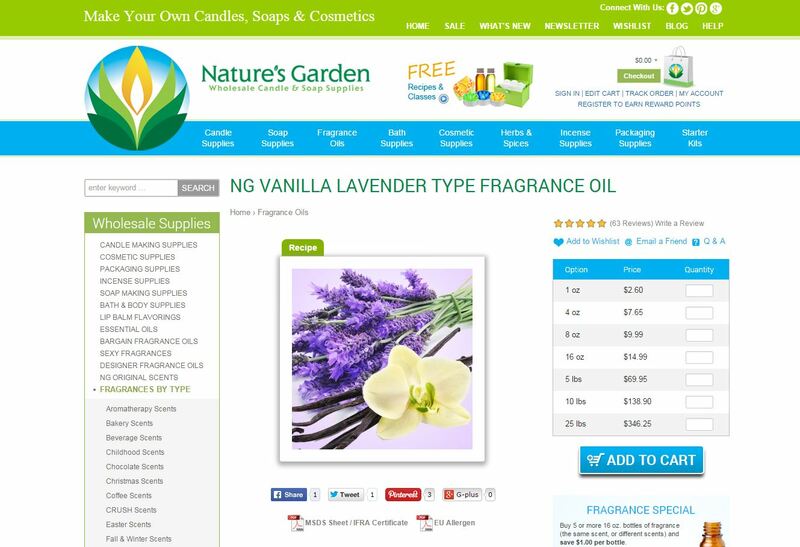 How Do Our Customers Use Vanilla Lavender Type Fragrance Oil? For all you creators and crafters out there, making homemade laundry soap is an amazing project! It is a great way to keep track of just exactly what your clothes are being washed in, plus you get to choose exactly how you would like your clothes to smell! 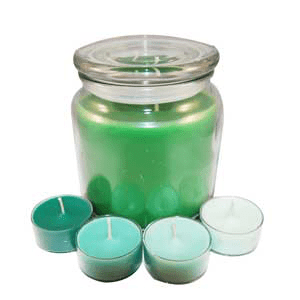 If you would rather fill your house with this scent using a lovely homemade candle, Vanilla Lavender Type scent performs perfectly in wow wax and joy wax, while it stays nice and strong when used in soy wax candles. 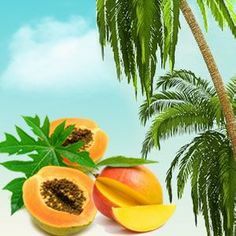 This fragrance can also be used in some nice and strong aroma beads, while it also has a maximum usage rate of 50% when used for incense and potpourri! If you would like to use this wonderful fragrance for making bath and body products, Vanilla Lavender Type scent has a maximum usage rate of 5%. Common products that can include Vanilla Lavender Type are bath gels, bath oils, perfumes, soaps, and lotions. This fragrance does have a vanillin content of 5%. When a fragrance has a vanillin content, this means that it can discolor soaps or other bath and body products it is used in. However, you can always add some Vanilla White Color Stabilizer to help with discoloration. So just make sure to thoroughly test this scent before using it in your final and finished product. For any cold process soapers out there, this fragrance is just what you’ve been looking for! Our CP results are: there is no acceleration with a perfect pour. It has no ricing, but it does discolor to a dark chocolate color. 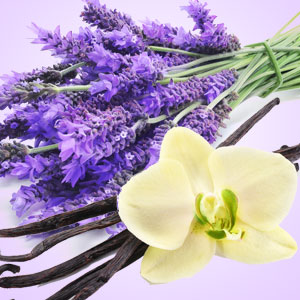 Vanilla Lavender Type is a super seller fragrance whose scent stays strong. This scent is one that everybody thoroughly adores! Are you trying to figure out how to start using this amazing fragrance as soon as possible! Well, have no fear! Here at Nature’s Garden, we actually offer many free recipes and classes, and our Delicate Laundry Soap is actually made with our awesome Vanilla Lavender Type scent! When you type “vanilla lav type” into the search bar on our site, it will take you directly to this fragrance’s page. On top of the fragrance picture, there is a little green box marked “Recipe.” If you click on that box, it will show you the name and picture of our Delicate Laundry Soap, and that is actually a direct link to the free recipe! Make sure to try out these wonderful products as soon as possible, and keep watching for more Enlightened by Layla! This entry was posted in candle making supplies, Fragrance Oils, Natures Garden, Natures Garden Fragrance Oils, Soap making supplies, winter scents and tagged alpine, alpine scents, alpine snowdrift, alpine snowdrift fragrance, alpine snowdrift scent, Christmas scents, christmas vacation scents, fragrances like pine, ideas for christmas, pine fragrances, pine fragrances for bath and body products, pine scents, pine scents for candles, pine scents for winter, reminders of snow, scents for christmas, scents for the ski lodge, scents like pine, scents like pine trees, ski lodge scents, skiing for christmas, skiing fragrances, skiing reminders, smells like pine, smells like snow, smells like winter, snow fragrances, snow scents, snow scents for christmas, snowdrifts on December 29, 2014 by Deborah Ward. Hello everyone! Brrrr, this cold winter weather is surely upon us! What are your favorite activities for the winter time? Maybe you love to build a snowman with your loved ones, or maybe you take everyone and go on a big ski trip? Or maybe your favorite part of winter is just watching all of the beautiful snow blanket the ground in a layer of white? I know that’s one of my favorite parts! For all you crafty people out there, how do you capture the beauty of winter in your projects? Our Alpine Snowdrift scent is the perfect fragrance to do just that! This fragrance is sure to bring the sting of the cold winter air right into your new creations! What Does Alpine Snowdrift Smell Like? Alpine Snowdrift by Nature’s Garden is the ultimate winter fragrance, a fresh blend that will bring instant thoughts of the ski slopes to your mind. It is a wonderful mix of spearmint leaves, menthol, woodland moss, ozonic accord, galbanum, frosted vanilla, winter anise, wet snow, and an accord of frozen air. 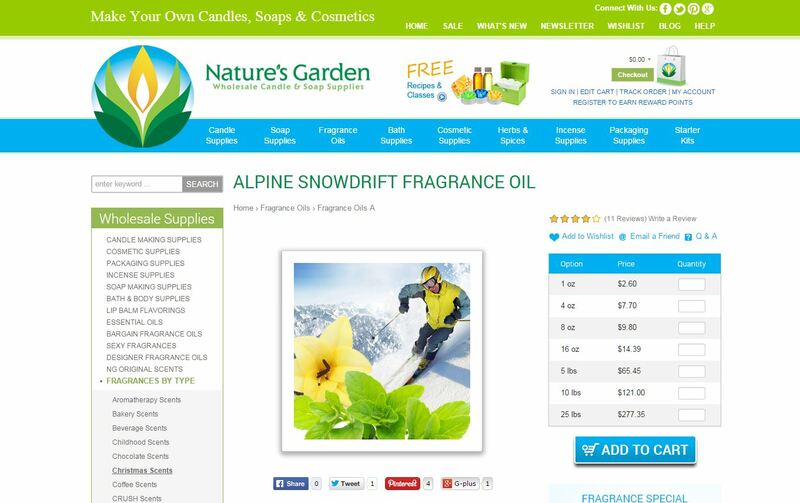 How Do Our Customers Use Alpine Snowdrift Fragrance Oil? Are you ready to take on all of those steep slopes with your skis? Or maybe you’re more comfortable just watching from the warm ski lodge with a cup of delicious hot chocolate. Either way, Alpine Snowdrift is the perfect scent for all of your holiday creations. When you choose to use this fragrance for the candle making process, it works perfectly in wow wax and joy wax, while performing nice and strong in soy wax. 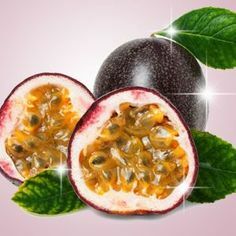 This scent also has a 50% maximum usage rate if you want to use it in incense or potpourri recipes! You can even fill your whole house with this winter smell by using it in some nice and strong aroma beads! For bath and body products, Alpine Snowdrift scent has a maximum usage rate of 5%. 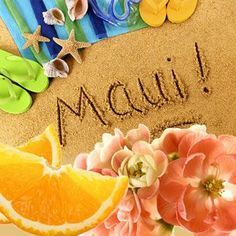 Common bath and body products it can be used in are bath oils, bath gels, perfumes, soaps, and lotions. Just be careful though as this scent does have a vanillin content of 1.40%. A vanillin content means that it may discolor your products, so just make sure to test this fragrance out before using it in your final products. Another option would be Vanilla White Color Stabilizer. This will help with the discoloration. For all of the cold process soapers out there, this fragrance is just right for you! Our CP findings are: No ricing, accelerates trace, no separation, discolors to a brown orange color and a very strong scent! The easiest way to get your hands on this wonderful winter fragrance is just by typing “alpine” into the search bar on our website. 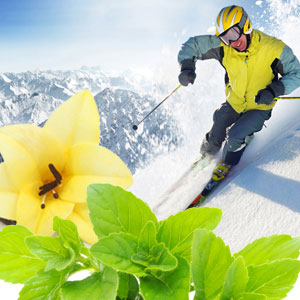 That will take you right to our Alpine Snowdrift Fragrance Oil page! But be sure to check out all of our amazing free classes and recipes while you’re there as well! You’re sure to find some awesome ones for the holidays that all of your friends, family, and even your customers will love! Please don’t hesitate to contact us here at Nature’s Garden with any questions or concerns, and make sure to watch for more Enlightened by Layla! This entry was posted in candle making supplies, Fragrance Oils, laundry detergent, laundry detergent recipe, Natures Garden, Natures Garden Fragrance Oils, Soap making supplies and tagged bath and body, clothes smell good, fragrance for homemade laundry detergent, fragrance oil, fragrances for laundry, fragrances for laundry detergent, fragrances for laundry soap, fragrances like snuggle fabric softnener, fragrances similar to snuggle fabric softener, free laundry detergent recipe, good laundry detergent scents, good laundry detergent smells, good laundry soap scents, homemade laundry detergent, homemade laundry detergent that smells like snuggle, homemade powdered laundry detergent, how can i use snuggable fragrance, how to fragrance laundry detergent, how to make laundry detergent, laundry detergent recipe, make laundry detergent smell good, making laundry detergent, natures garden, powdered laundry detergent recipes, recipes with snuggable fragrance, scents for laundry detergent, scents for laundry soap, similar to snuggle, smells like snuggle, snuggable, snuggable fragrance, snuggable fragrance oil, snuggable in bath and body products, snuggable in candles, snugglable scent on December 29, 2014 by Deborah Ward. Hello all you wonderful people out there! What’s your favorite scent? Maybe it’s something with chocolate, or your favorite beverage, or maybe even one that transports you right to your childhood memories. Here at Nature’s Garden, we have over 800+ fragrances to choose from! Are you looking for a scent that would perfect for say…homemade laundry soap? A fragrance that will leave your clothes smelling just like your own favorite laundry detergents? Well, our Snuggable scent is just that! This fragrance is so similar to Snuggle fabric softener that you’ll hardly be able to tell the difference! What Does Snuggable Smell Like? 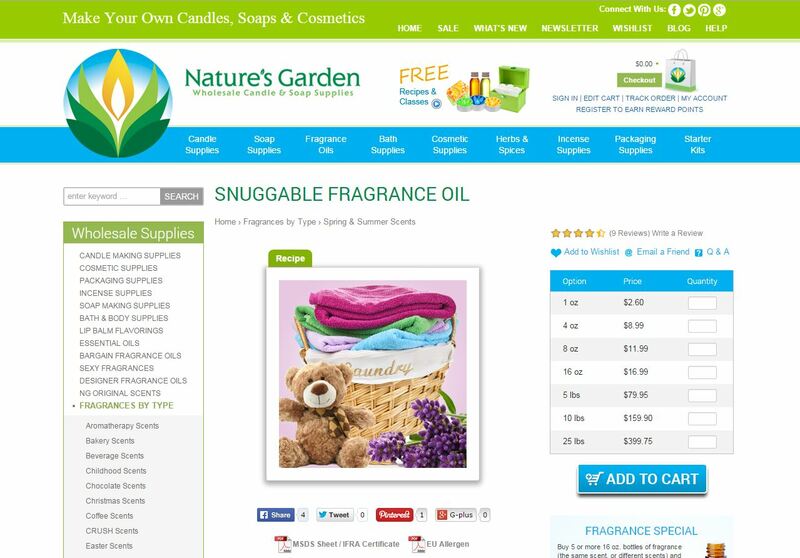 Snuggable by Nature’s Garden is an aroma that is just breath taking. It is very similar to Snuggle fabric softener, with base notes of amber, gardenia, and lavender. These follow balsamic notes with top notes of lovely violet and even lily of the valley. How Do Our Customers Use Snuggable Scent? 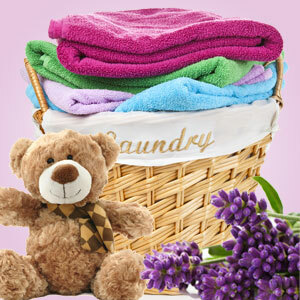 Are your favorite detergents and fabric softeners just too expensive? Have an itch to try out making your own laundry detergent? Snuggable scent is just perfect for those future projects! This fragrance will fill your clothes will a wonderful scent totally reminiscent of Snuggle fabric softener, while saving you money! If you would rather use this fragrance for the candle making process, it is perfect for that as well! 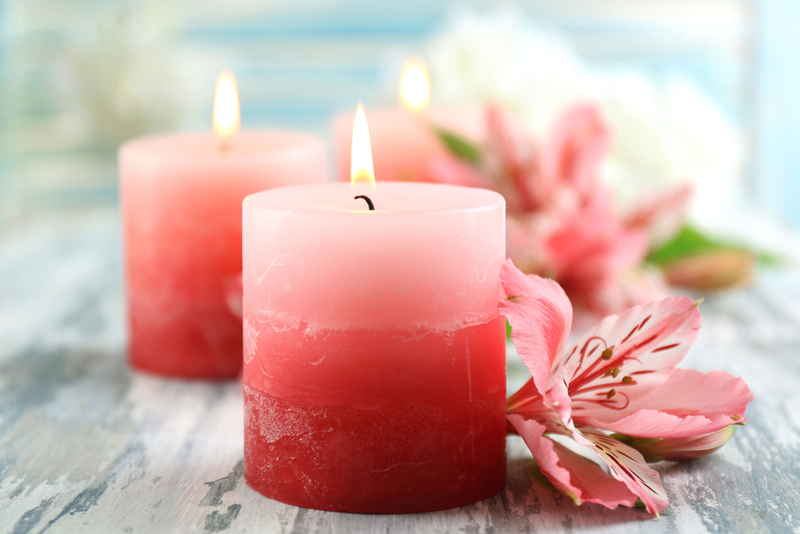 When used in candles, Snuggable is nice and strong in soy wax, while performing perfectly in joy wax and wow wax. If you’re more of a potpourri or incense maker, and want to have the Snuggable scent wafting through your home, there is actually a 50% maximum usage rate! You can even use this amazing fragrance in some nice and strong aroma beads! If you would like to use this scent for bath and body products, it actually has a maximum usage rate of 5%. Common products that can include Snuggable are lotions, bath gels, soaps, bath oils, and perfumes. Snuggable does not have any vanillin content, meaning that it will not discolor any of your soaps or other bath and body products! For all the cold process soapers out there, this scent is perfect for you as well! Our CP findings are: it has no discoloration, with just a slight acceleration. Here at Nature’s Garden, we all love this scent, and in cold process soap, the smell stays nice and strong! I know you just can’t wait to get your hands on a fragrance that smells exactly your favorite fabric softener, but hold on just a second because it gets even better! We offer many free recipes and classes and our recipe for Powdered Laundry Detergent is actually made with our Snuggable fragrance oil! This homemade laundry detergent is the perfect way to leave all of your clothes smelling like they have just been washed with Snuggle fabric softener! Now, when you’re on our website, just type “snug” or “snuggable” into the search bar. That will take you directly to our Snuggable Fragrance Oil page. On top of the fragrance picture, you will see a little green box labeled “Recipe.” If you click that box, it will show you a picture and the name of our Powdered Laundry Detergent which is a direct link to the awesome recipe! Enjoy these wonderful products, and keep watching for more Enlightened by Layla! This entry was posted in candle dye, candle making, candle making supplies, candle supplies, candles, color blocks, Natures Garden and tagged block candle dye, can i use crayons to color candles, can i use crayons to dye my candles, candle color blocks, Candle Colorants, candle coloring, candle coloring class, candle colors, candle dye colors, candle dyes, candle making, candle making supples, candle supplies, candles, color blocks, color blocks for candles, coloring candles, diamond mica, dye for candles, dyes needed to color candles, dying candles, free candle class, free classes, gold mica, homemade candles, how can i dye homemade candles, how to color candles, how to dye candles, how to use mica for candles, information about candle dye, learning to color candles, liquid candle color, liquid candle dye, mica, mica in candles, natures garden, natures garden candles, types of candle colors, types of candle dye, using color blocks in candles, ways to color candles, ways to dye candles, what is a color block, what to do when making candles, what type of dye do i use for candles on December 23, 2014 by Deborah Ward. Hi everyone! Are you just starting out making your own candles? Wondering how to color candles? Here at Nature’s Garden, we actually have many wonderful products that are used specifically for the candle coloring process. We offer only the best candle coloring products out there, with each item having its own vibrant personality! We offer so many different dye products, each having their own different specifications when used in your candles. We have liquid candle dye options as well as color block dye. We even have mica dust that you can sprinkle on the outside of you pillar candles to give them the effect of sparkling! For liquid candle dyes, we offer various Spectrum Liquid Candle Dyes ranging in color. The colors of liquid dyes we offer here at Nature’s Garden are brown, red, orange, yellow, green, blue, black, burgundy, purple, and teal. (However, when using these liquid dyes, please just note that they are very concentrated!) To use the liquid dyes, just put a few drops of the liquid into your melted wax. If you are in the mood for more of a pastel color (or if you are doing a very small batch) for your candle, all you have to do to the dye is dilute it using vegetable oil with the ratio of 1:1. Be careful with the amount of dye you use as well. When you use liquid dye, it allows you to create more consistent coloring in your candles since you count how any drops are put in. But be careful not use more than 10 drops per pound of wax, or else your candles may have a chemical smell to them. For our color block dyes, the colors we offer are red, burgundy, yellow, blue, green, purple, brown, cinnamon, teal, cranberry, and a coral/peach. To use a color block to color your candle, simply shave off the desired amount and place it into your melted wax. One color block is actually enough to easily deeply dye 15 pounds of wax. When using color blocks, they actually do not produce colors as vibrant as the liquid dyes, so they are better when trying to attain more subtle colors. However, when using color blocks, make sure that the block is fully incorporated before pouring your candle! They can tend to produce little specks of colors on the bottoms of your candles if they are not fully melted and mixed into the wax. Want to give your pillar some sparkle to bling it up a little bit? Use some of our Gold Pigment Mica or our Diamond Dust Mica to dust the outside of your pillars! This will give your pillars a beautiful shimmer! Have you ever thoughts of using crayons to color your candles? Well, please don’t! Using crayons for coloring can actually cause the candle to start smoking and may even clog your wicks! Crayons are not alone in this predicament. When dying your candles, be sure not to use too much color as this can cause the wick to become clogged and it may cause your candle to smoke more than it should be. It can even inhibit the throw of your chosen scent and reduce the melt pool of the candle. Candle dyes are not for cosmetic use either! Check out all of our free recipes and classes, we offer many free candle recipes, and even a Candle Coloring Class that tells all about our candle coloring products! 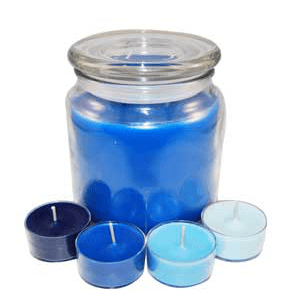 If you click on candle supplies then candle colorants on our website, that will show you all of the candle colorants we offer. Our Candle Coloring class even tells how to mix your own colors to achieve the colors you want. Enjoy these wonderful products and watch out for more Enlightened by Layla! This entry was posted in candle making supplies, Christmas Scents, Fragrance Oils, Natures Garden, Natures Garden Fragrance Oils, Soap making supplies and tagged bath and body products with snow, fragrance of snow, fragrances for winter, frost & snowdrops, frost & snowdrops fragrance, frost and snowdrop scent, frost and snowdrops, frost and snowdrops in candles, frost and snowdrops in soap, frost bath and body products, frost fragrances, good winter fragrances, how can i use frost and snowdrops, how do i use frost and snowdrops, looks like snow, looks like winter, natures garden, popular winter fragrances, popular winter scents, reminders of snow, scents for winter, scents like snow, scents to use in winter, snow candles, snow fragrances, snow products, snow scents, soaps with snow, time for frost, winter candles, winter fragrances, winter frost, winter ice, winter products, winter scent ideas, winter scents, winter snow, winter time on December 22, 2014 by Deborah Ward. Hello all you wonderful people out there! Are you excited for the beautiful snow and the cold of winter? I know I sure am! This is my favorite season and it brings such magical times and holidays along with it! Anything can happen during Christmas! Are you looking for a creative fragrance to add to your projects to tie in just a hint of the winter chill and the beauty of snow? Then our Frost & Snowdrops scent is just what you’ve been looking for! It is the perfect fragrance to tie the winter season into your creations! What Does Frost & Snowdrops Smell Like? Frost & Snowdrops by Nature’s Garden is the perfect unisex blend of a sandalwood background embracing a romantic musk with the aroma of delicate winter flowers mixed in as well! How Do Our Customers Use Frost & Snowdrops? Do you love the beauty of icicles? Or maybe you love watching the snow falling from the sky? I know I love building snowmen and having snowball fights! 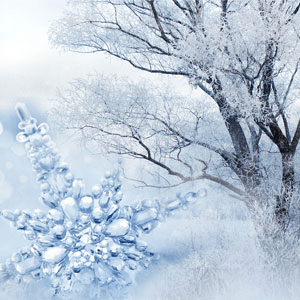 No matter what your favorite part about winter is, it is still the most magical time of the year! Frost & Snowdrops is definitely the perfect fragrance to bring to mind that sting of the cold winter air on your cheeks. When you use this fragrance in the candle making process, it works nice and strong in soy wax, while performing perfectly in wow wax and joy wax! If you would like to fill your house with a touch of the winter season, make sure to use Frost & Snowdrops in some nice and strong aroma beads! If you are more into making potpourri and incense, Frost & Snowdrops has a maximum recommended usage rate of 50%! For bath and body products, this is the perfect winter fragrance! It actually has a maximum recommended usage rate of 5%. Some common bath and body products that can include Frost & Snowdrops are lotions, bath gels, bath oils, soaps, and perfumes. Frost and Snowdrops does have a .15% vanillin content. Having a vanillin content means that this fragrance may tend to discolor your products, so using Vanilla White Color Stabilizer can help with the discoloration. For all you cold process soapers out there, this magical winter fragrance is definitely perfect for you! Our CP findings are: there is no acceleration or ricing and it has a perfect pour. Frost & Snowdrops also has no separation or discoloration, with just a light scent when used in cold process soaps. Now that I’m sure you want to get your hands on this wonderful fragrance, all you have to do is type “frost snow” into the search bar on our website. 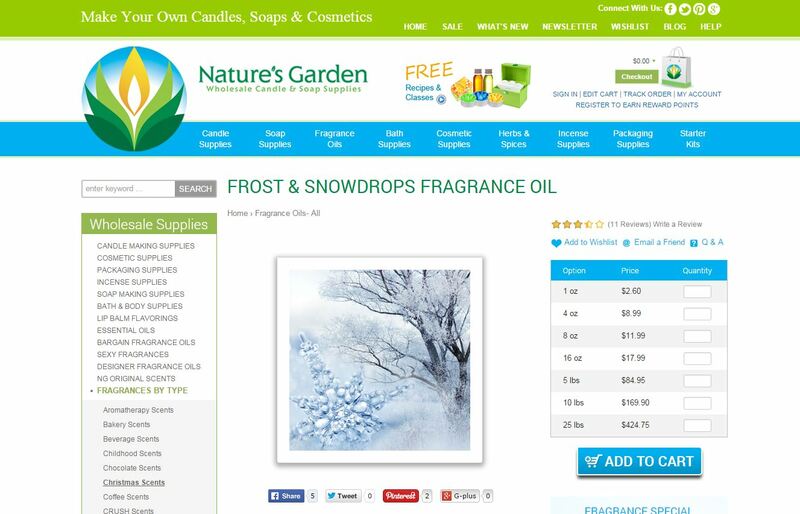 That will take you directly to our Frost & Snowdrops Fragrance Oil page! But make sure to check out all of our amazing free recipes and classes as well, like our Snowball Soap or our Glistening Snowflakes Potpourri which are both perfect for the upcoming holiday season! Enjoy these amazing Christmas products and watch out for more Enlightened by Layla! This entry was posted in candle making supplies, Christmas Scents, Fragrance Oils, Natures Garden, Natures Garden Fragrance Oils, Soap making supplies, Uncategorized and tagged christmas cooking, christmas cravings, christmas cravings fragrance, christmas cravings scent, christmas dinner smells, christmas food cravings, christmas food scents, christmas foods, christmas fragrance oils, Christmas fragrances, christmas recipes, christmas time foods, cooking for christmas, cravings about christmas, cravings for christmas, cravings for christmas foods, holiday cravings, holiday time smells, how can i use christmas cravings, how to make things smell like christmas food, i want christmas food, smells like christmas dinner, smells like christmas food, soaps that smell like christmas food, time for christmas food, what to eat for christmas, what to make for christmas, what to make with christmas cravings fragrance on December 21, 2014 by Deborah Ward. Hi everybody! I hope you’re all caught up in the wonderful Christmas spirit and spreading good cheer! Have you finished your Christmas shopping yet? Maybe you’re still looking for that perfect holiday gift that everyone is sure to love? What about a lovely Christmas soap or candle? They would make the perfect holiday gift! Especially when made with our wonderful Christmas Cravings Fragrance Oil! It is just the right fragrance to bring the smells of Christmas dinners past into everyones minds and to the tips of their taste buds! With Christmas right around the corner, this scent is sure to entice them all right into the Christmas spirit! What Does Christmas Cravings Smell Like? 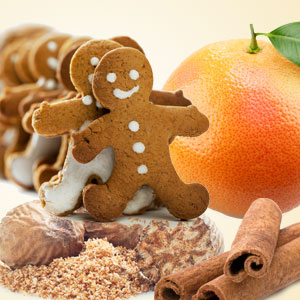 Christmas Cravings by Nature’s Garden is a yummy fragrance sure to make yours and all of your loved ones mouths water! This delicious fragrance starts with top notes of grapefruit, apple, lemon, and orange, followed by yummy notes of nutmeg, cinnamon, carrot, and ginger. Following those are base notes of vanilla and buttercream. Christmas Cravings is actually a Nature’s Garden original fragrance! 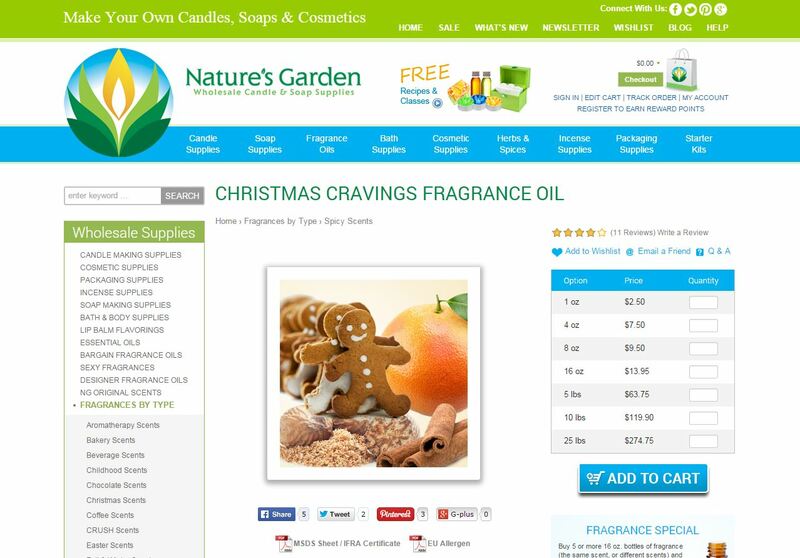 How Do Our Customers Use Christmas Cravings Fragrance Oil? With Santa’s sleigh and all his reindeer getting closer and closer, Christmas Cravings is sure to bring back wonderful memories of fantastic Christmas dinners and Christmas parties past! For all you crafters out there, Christmas Cravings scent is absolutely perfect for you! When used in the candle making process, this fragrance is nice and strong in soy wax, while is performs perfectly in joy wax and wow wax! A great way to fill your home with the yummy smell of Christmas dinner is by using this scent in some nice and strong aroma beads! Christmas Cravings also has a 50% maximum usage rate if you would like to use in incense or potpourri! For bath and body products, this fragrance has a different maximum usage rate depending on the product. For common products like lotions and perfumes, it has a maximum usage rate of 1%, while having a 2% maximum usage rate for products such as soaps, bath oils, and bath gels. However, there does happen to be a .95% vanillin content in this fragrance. When there is a vanillin content, this means that the fragrance can discolor your bath and body products. However, you can use our Vanilla White Color Stabilizer to help with discoloration. For all the CP soapers out there, this fragrance is just right for you! Our CP findings were: there is a slight acceleration, but it has a very strong scent. Its final discoloration will actually be a dark tan color. The easiest way to get your hands on this wonderful Christmas scent as soon as possible is by typing “cravings” into the search bar on our website. That will actually take you directly to our Christmas Cravings Fragrance Oil page! But while you’re there, be sure to check out all of our wonderful free recipes and classes as well! You are sure to find some amazing Christmas recipes sure to bring joy to you and all of your loved ones! Have a wonderful holiday and keep watching for more Enlightened by Layla! This entry was posted in candle making supplies, Christmas Scents, Fragrance Oils, Natures Garden, Natures Garden Fragrance Oils, Soap making supplies and tagged candles for christmas, christmas elves, christmas fun, christmas ideas, christmas magic, craft ideas for kids, elf favorites, elf ideas for christmas, elf scents, elf smells, elf sweat, elf sweat fragrance, elf sweat fragrance oil, elf sweat fragrances, elf sweat scent, elves at christmas, fun christmas craft time, fun christmas ideas, fun crafts for christmas, fun for christmas, fun fragrances, fun scents, get ready for santa, getting ready for christmas, Holiday fragrances, holiday scents, how can i make christmas fun, how to make fun christmas crafts, kid christmas, kid christmas crafts, kid ideas for christmas, magical christmas scents, natures garden, santas favorite scents, smells for santa, what can i make for christmas on December 20, 2014 by Deborah Ward. Hi everyone! Do you have all of your Christmas shopping done yet? What did you ask Santa for this year? You know at this time of year, all his elves are working extra hard in overtime to get every gift done for all the girls and boys out there! Do you have any cute gift ideas for your own little elves this year? Or have you figured out any unique elf projects to give to your friends and family? Our Elf Sweat scent is the perfect fragrance for all of your future holiday creations! What Does Elf Sweat Smell Like? I’m sure with such a creative name, you’re totally intrigued as to what this unique fragrance smells like. Well, Elf Sweat by Nature’s Garden was inspired by what else? Santa’s elves of course! This Nature’s Garden original fragrance perfectly captures all the exact personality traits of Santa’s elves by being a happy, bubbly, hard-working magical fragrance! It is a uniquely creative blend of candy canes, syrup, candy corn, candy, and a magically creative top note of spicy effervescent soda pop bubbles! 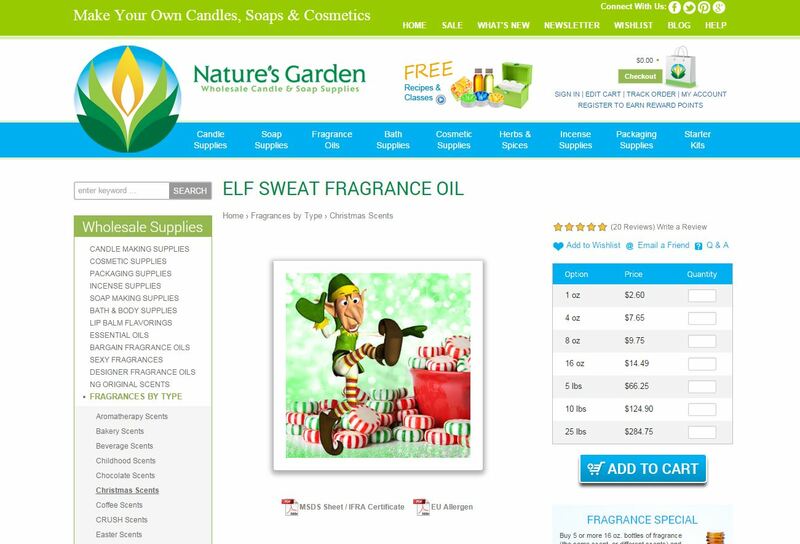 How Do Our Customers Use Elf Sweat Fragrance Oil? Don’t you hear their little hammers pounding away? Or the Christmas carols I’m sure they’re humming to while they’re working on all of those wonderful toys or the smell of Christmas cookies baking for them to snack on later? 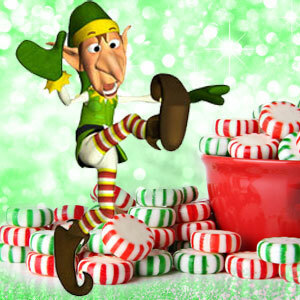 What do you think the elves favorite toys to make are? This fragrance is definitely the perfect one to bring all the magic of the holidays into your home! 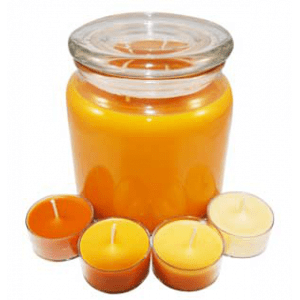 If you want to use it for the candle making process, this scent performs perfectly in wow wax and joy wax, while it is nice and strong in soy wax. It also will fill your house with magic if you use it in some nice and strong aroma beads. If you like to make incense or potpourri, Elf Sweat has a maximum usage rate of 50%. For bath and body products, this fragrance has a maximum usage rate of 1.3%. Common bath and body products that can include Elf Sweat are lotions, soaps, bath oils, perfumes, and bath gels. Elf Sweat does have a vanillin content of 3%, but Vanilla White can aid by preventing discoloration. Just make sure you test it thoroughly in your finished products! For all you cold process soapers out there, this fragrance is perfect for your new creations! Our CP findings are as follows: it handles well with no acceleration and no ricing. However, it does discolor products to a medium brown color. Just type in “elf sweat” in the search bar on our website and that will take you directly to this magically wonderful fragrance so you can start using it as soon as possible! But make sure to check out all of our awesome free classes and recipes as well, our Christmas Tree Bath Bomb and Gingerbread Aroma Beads are both perfect for the holidays! 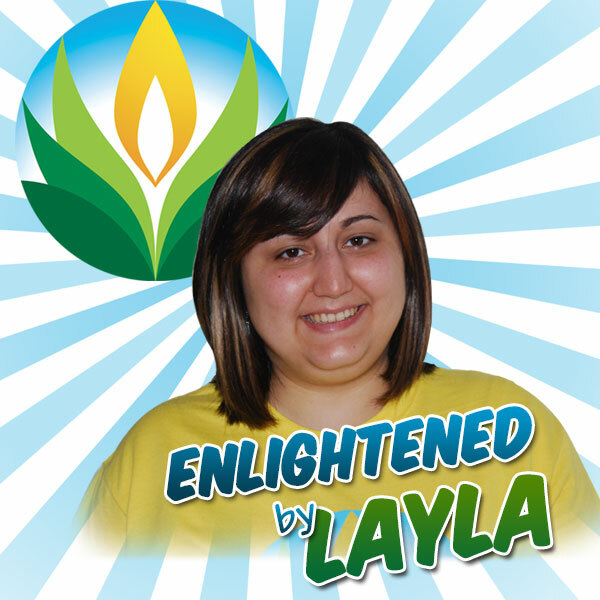 Keep watching for more Enlightened by Layla! This entry was posted in bath and body, bath products, chocolate bath melts, cocoa powder, herbs, Natures Garden, Soap making supplies and tagged bath melts with chocolate, chocolate bath melts, chocolate body frosting, chocolate cosmetic recipes, chocolate flavored soaps, chocolate in medicine, chocolate scented cosmetics, cocoa cosmetic recipes, cocoa powder, cocoa powder for moods, cocoa powder in bath melts, cocoa powder in cosmetics, cocoa powder in herbal medicine, cocoa powder in homemade bath and body products, cocoa powder in soaps, cocoa powder in sugar scrubs, cocoa powder uses, cocoa uses in cosmetics, cosmetics with cocoa powder, free chocolate cosmetic recipe, health benefits of cocoa, homemade bath melts, homemade body frosting, homemade cosmetics, homemade cosmetics with herbs, minerals in cocoa, natures garden, soap making supplies, soaps with cocoa powder, uses for cocoa powder, vitamins in chocolate on December 19, 2014 by Deborah Ward. Hello all you wonderfully crafty people out there! Are you looking for a new and unique product to add to your projects? Or maybe you’ve been looking for something that is so enticing that your customers just won’t be able to help themselves. Well, what if I told you you could use everyone’s favorite food in the world? Chocolate! I’m not kidding! You can actually use real cocoa powder in your products! 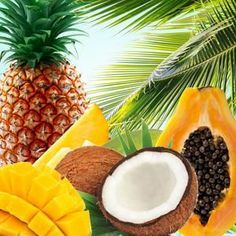 It can be used for so many different industries including skin care, hair care, bath and body products, medicinal purposes, soaping, and the most obvious, food and beverages. Some common bath and body products that can include cocoa powder are soaps, shampoos and conditioners, face masks, facial toners, bath bombs, lotions, ointments, creams, lip balms, massage oils, and scrubs. There are so many amazing uses for cocoa powder. 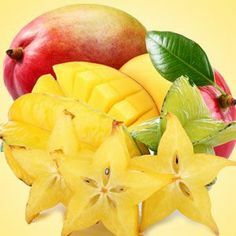 When you use it in your bath and body products, it has many wonderful skin and hair care benefits. In soaps, it gives the soap a beautiful natural brown color. For your skin, cocoa powder helps to renew and firm new skin cells, promote healthy skin tissues, and it also helps promote healthy cell development. Cocoa powder is a powerful antioxidant and helps to repair any damaged skin, absorbs UV light into the skin, improves blood flow, and improves complexion and helps the skin stay hydrated. You hair can benefit from cocoa powder as well. 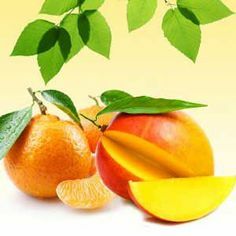 It helps to stop stress-caused hair loss, promotes shinier hair, and also helps to moisturize, soften, and smooth the hair. Cocoa powder also has many medicinal benefits. Did you know that chocolate could actually help fight cancer? 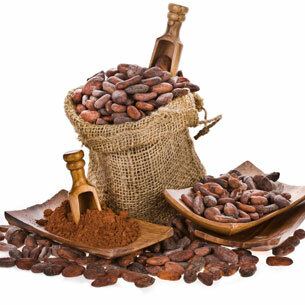 Cocoa actually contains high levels of an antioxidant called polyphenols. When you drink hot chocolate, or other chocolate drinks, the polyphenols actually fight cancer! Even you heart can stay healthier with cocoa powder. 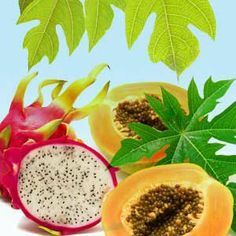 It helps to lower blood pressure and bad cholesterol, as well as protecting you from a stroke and heart disease. For people that suffer from Alzheimer’s, cocoa powder actually helps to increase the amount of oxygen to the brain. Cocoa powder also contains many important minerals for the body such as magnesium, sodium, potassium, zinc, copper, calcium, and phosphorous. 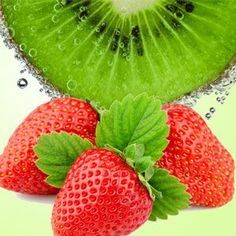 It also contains vitamins A, B1, B2, B3, C, E, and pantothenic acid. Cocoa also works as an antidepressant and mood enhancer, increasing serotonin and endorphin levels in the brain, essentially making you happier! So really, chocolate is actually very good for you! I mean it fights cancer and protects you from heart disease! How could you not want to use this in every single product you make from now on? But hold on, because here at Nature’s Garden we actually offer many free classes and recipes, and some of them just happen to be made with our cocoa powder! 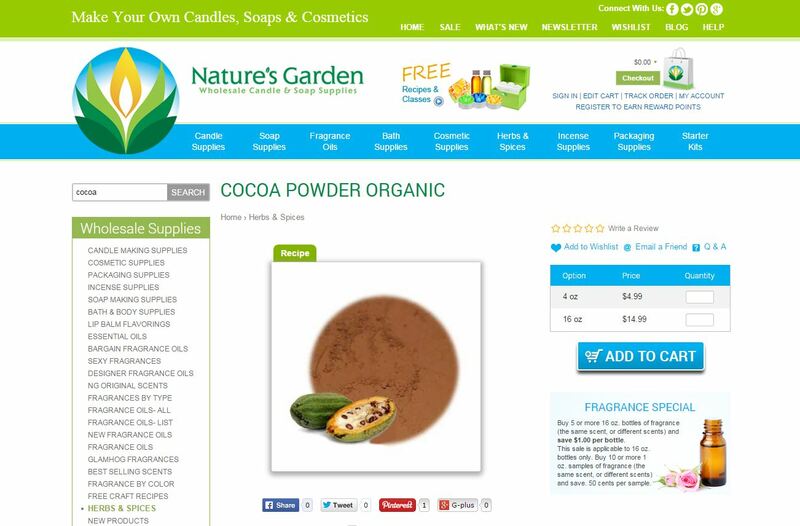 When you type “cocoa powder” into the search bar on our site, it will take you directly to our Organic Cocoa Powder page. On top of the cocoa powder picture, there is a little green link labeled “Recipe.” That will actually show you all of our fantastic recipes made with cocoa powder like our Gourmet Chocolate Bath Melts or our Chocolate Foaming Body Frosting! Make sure to try out every single one of them and keep watching for more Enlightened by Layla!